Are you wanting to sell your vehicle for cash today? Car Wreckers Whakatane is Your local wreckers & servicing Opotiki and surrounding areas, We are buying all type of cars, Vans, Ute 4WD & Trucks ETC in any Conditions Running or not Registered or De-Registered all are welcomed. Call us today for find out how much is your vehicle worth, and earn yourself some folding cash today. From 1985 To 2015 any condition!! Toyota, Nissan, Mitsubishi, Honda,� Suzuki, Mazda, Isuzu, Audi, Renault, BMW, Chevrolet, Ford, Hyundai, Jeep, Kia, Land Rover, Mercedes, Volkswagen Volvo, Nissan, Fiat, Chrysler, Holden, Peugeot, Scania, Canter, Fuso vehicle we are buying for cash today. Check out our Toyota Wreckers Auckland page today�page for more details. 1. Car Wreckers Whakatane has made it easy for every one to get rid unwanted vehicle now days, you can simply call us on 0800 227 973 or Email us on carsremoval@yahoo.co.nz or simply fill out the Instant free Quote form in your right hand side, and one of our professional team member will get back to you as soon as your vehicle detail is available to us. 2. As soon as we have your vehicle detail we can give you an estimated offer for your vehicle�over the phone and if you are happy with our offer we can schedule a suitable time for you to view & assess your vehicle and confirm the price while he is there with the tow truck. 3. If you are happy with our price, we will then hand you the cash and give you free of charge removal. 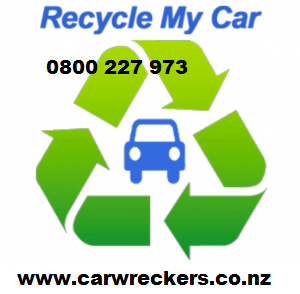 What area�s Car Wrecker Whakatane is Buying Cars from?